« Retweet contest winners announced ! Twitter is a famous micro-blogging platform allowing you to update your status in less than 140 characters . You can update [ tweet ] via many different mediums like web ,mobile cellphones and various other third party apps .Twitter has grown tremendously and is a vast network to showcase talent / advertise / search / chat . Now it is one of the main necessity for every web addict . 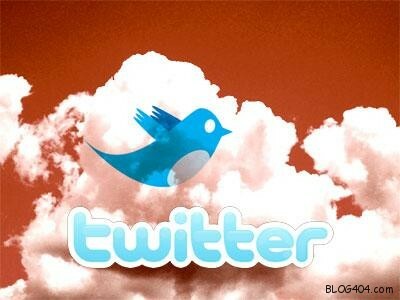 After Gmail and Facebook , Twitter joins the list ! And now , right from every graduate to every entrepreneur , from celebrities to politicians , from kid to aged guy everyone is hooked on twitter ! But still people don’t know what exactly is twitter and why they need owe a twitter account . There are million reasons and ways to use twitter . This is even bigger than google search. In google search engine , you get answers from the webpages indexed by google search bot while in twitter , you get answers from the Real People [ Tweeple ] and that too very fast . Just like crowd-sourcing funda , it makes Question -Answers session interacting in the form of tweets . You can ask all sorts of questions to the Twitter universe right from “How is the weather in Pune today ?” OR “Has the google pagerank updated ?” . And the more followers you have, the more detailed answers you will receive. Micro-blogging is just similar to blogging with only limit shortened . Micro-blogging is generally preferred rather than blogging as it is pretty easy to express yourself in quick short words instead of detailed blog post . How fast and easy it is to comment and express your views on any topic related to politics , sports , technology anything by a quick tweet telling the world what you are doing . This actually is the reason to have a twitter . The twitter trending topics have somewhat managed to become the fastest medium for breaking news . It has gone too fast and even beats the television . From magazines to new-channels, it seems everyone is adopting Twitter and first story is released on twitter and later published / aired . Even the news of Death of MJ was first noticed on twitter and was later seen on various medias . I know this is very funny but its the best way to ! What can be much better to tweet about your enemy or just give some bad-words about those stupid people who make you feel angry , blah- blah . Genuinely good way to kill bad mood and it is the best doubles when you get some cool motivational reply from your follower . However its probably not so smart if that person observes your tweet . Till then Twitter can be really helpful because it lets you rage to millions of people and you might just get some sympathy tweets out of it too. 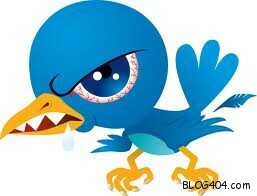 Just don’t be more naughty or abusive or you are bound to lose followers ! Twitter can help you get a new job . Many companies post their job openings on twitter and if you have a strong twitter profile with detailed bio-data , who knows maybe you are among the selected ones that’s why keep job searching. Even the recent MTv dj was selected from twitter ! In facebook and default gtalk , its not possible to group IM chat with friends and coatrooms are boring because not everyone have a yahoo or MSN account . In such a case Twitter can be very useful for arranging a group chat just like a conference . By using a particular #hashtag or by mentioning multiple friends in your update , its a great and cool way to have a group chat . Also many apps are now available to have group chat in which your tweets remain private and can only be seen by your group members . Twitter’s search feature is real time and is an efficient way to track scores , trends of your favorite sport say soccer , cricket , basketball etc .If you are a fan of that sport then you can connect with the team players as almost all of em are on twitter . When you are outside and can’t get to a TV then just follow the tweets on Twitter. You will also get kewl , provoking comments along with regular score updates . There are variety of tweeting popping on reviews and buzzing about the release of any product . Right from a movie to an album , from mobile to new car , tweeples are questioning , cross – questioning , praising , raging about that specific product . This Feature is handy to check out what the buzz is on the latest product you are heading to buy . Barack Obama was the first President to have a twitter account and now politicians are increasingly turning to Twitter – ShashiTharoor , Kevin Rudd , Stephen Harper and many more . This is a smart way for politicians to get the word out and also making them connected to their constituents and answering people doubts . Huge Third-party apps provide games to interact with Twitter accounts. Many quizzes and polls are available thus providing a sport and open approach . Also many networks like Magpie , SponsoredTweets , MyLikes etc pay you to advertise their ad on your tweet ! 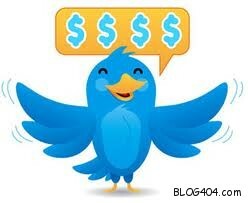 How easy cash it is to make money from twitter account . Thus just by having influence in twitterverse with huge followers , your can earn piles of money via twitter advertising . Hopefully , i think this article gave you ideas on why do you need to sign for twitter account and how to use it virtually and practically [ in your daily life ] If you found this article useful , feel free to share it with your Twitter friends . An if you have any more ideas of “How to use a twitter ” do share them here ! And yes…please follow me [ i Follow Back ] on Twitter and say hi ! [ Infographic ] What if you printed Twitter ? Informative blog post, thanks for keeping me busy! Recently , i have created twitter and its rocking hard ! Twitter is really a great microblogging service as we all know..I am agree with all the reason you posted here. Yeah , the new twitter is good and design is marvelous . We can use Twitter for any purpose but mostly it is used for business purpose. You have provided a good introduction and excellent way to use this twitter. Nice info list. Since twitter is one of the most visited websites in the web today, it would be crazy not to use it to our benefit. Plus it is a great way to interact with the followers (our customers) and, know more what they want and what they need. © 2019 BLOG404 — All Rights Reserved.